One or more photo(s) has been virtually staged.REDUCED $15,000!! SOME OF THE BEST VIEWS IN BURNT STORE MARINA! 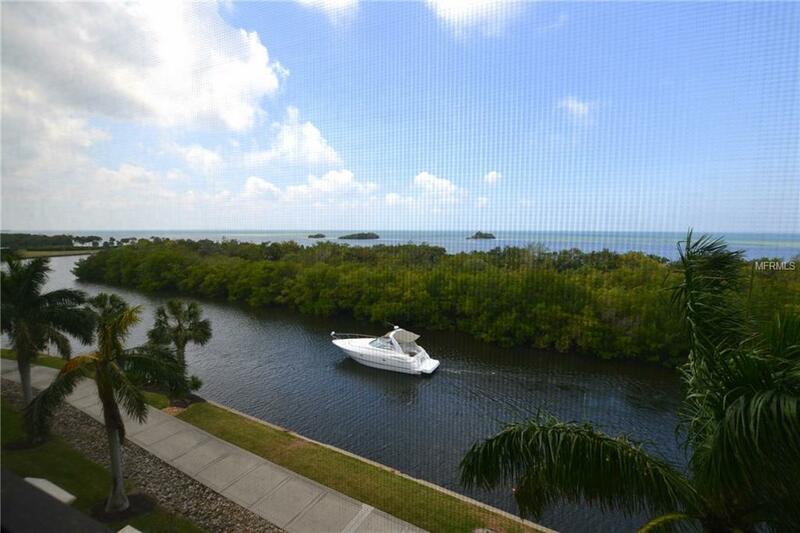 PANORAMIC VIEWS of the Harbor and Marina channel from this 4th floor west-facing unit. This is now the BEST VALUE WEDGE in Grande Isles. 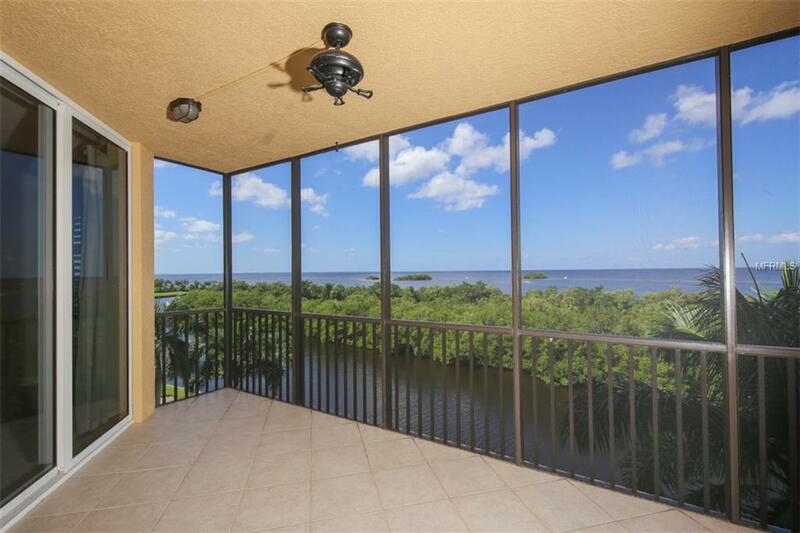 Relaxing breezes from the screened lanai, the sound of the water beyond and SUNSETS INCLUDED! YOU'LL LOVE THIS LIFESTYLE! 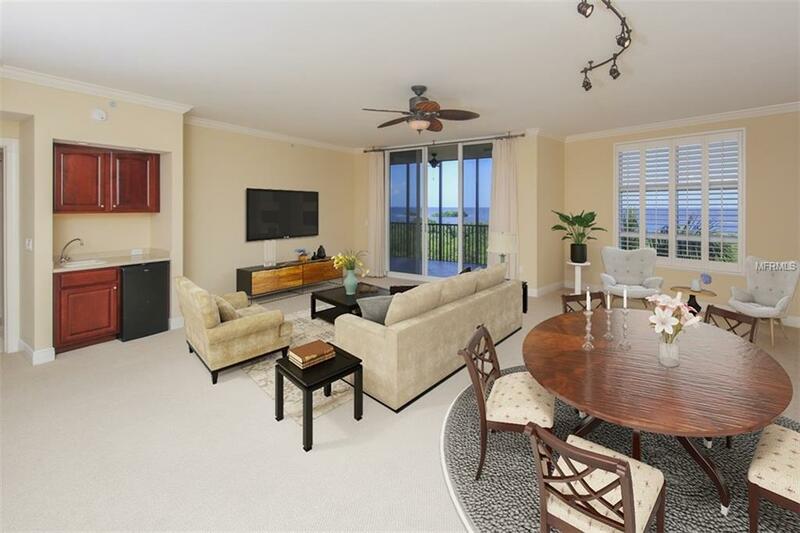 With 3 bedrooms and 3 full bathrooms in almost 2000sf living space of this popular "wedge" layout, you and your guests will have a FRONT ROW SEAT TO WATCH FLORIDA WILDLIFE AND BOATING ON THE HARBOR. Inside, this well-designed floorplan features an open kitchen with broad breakfast bar, cherry cabinets, and Corian counters. The second guest bedroom features an ensuite bath - could be a 2nd master bedroom. The flooring is an attractive Berber with tile in the kitchen, bathrooms, laundry and hallway. CUSTOM DECORATIVE LISTELLO TILE adds an artistic touch in the front hall floor. CROWN MOULDING, MIRRORED BI-FOLD closet doors, updated fans, lighting fixtures, plumbing fixtures and PLANTATION SHUTTERS are wonderful upgrades. The ensuite master bath features DUAL CHERRY VANITIES, UPGRADED TILE IN THE SHOWER, WHIRLPOOL TUB AND TV MOUNT. 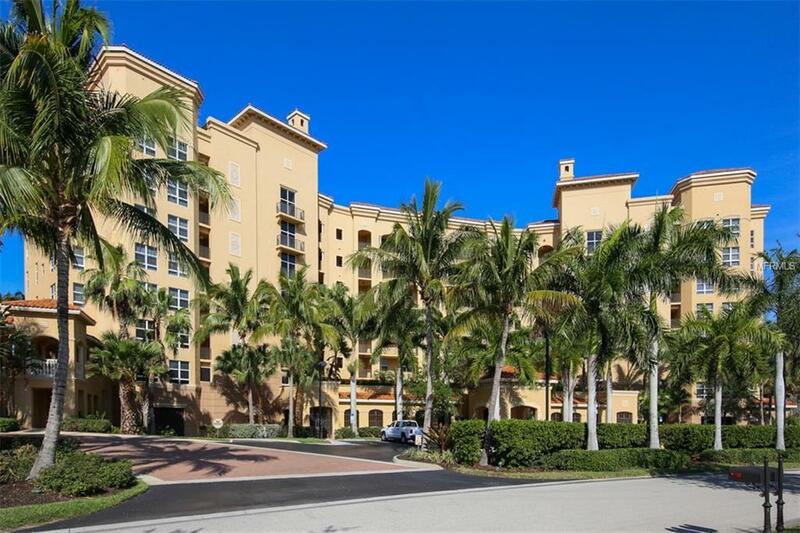 Here in Grande Isle youre surrounded by luxury and convenience. EVEN THE COMPLETE AC SYSTEM IS COVERED BY THE MONTHLY FEE IF IT FAILS. Stroll down to the EXCLUSIVE CLUB ROOM, HUGE HEATED POOL AND SPA, WELL-EQUIPPED FITNESS CENTER, HOME THEATER, STEAM ROOM AND DRY SAUNA - ALL AT YOUR DISPOSAL. Seller says bring offers!